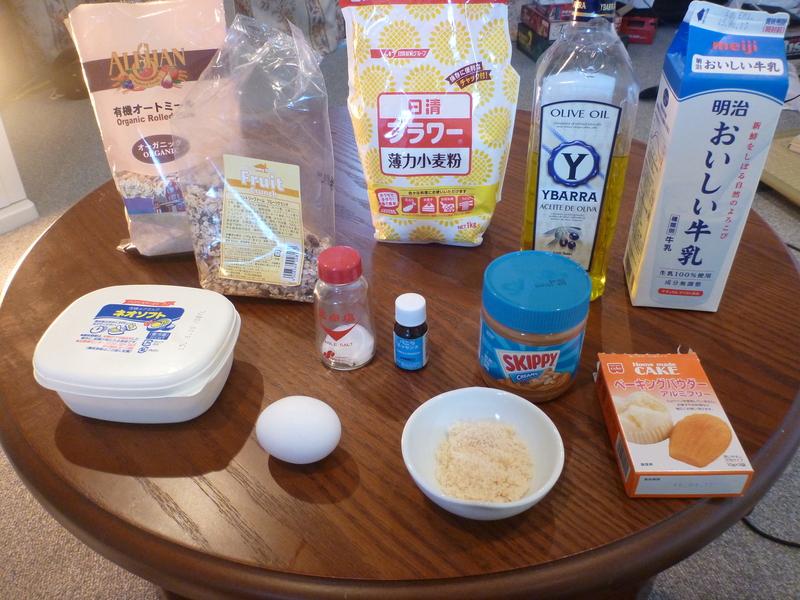 Ok, so there is nothing Japanese about these pancakes except for the fact that we are living in Tokyo and so the ingredients are from Japan (for the most part). With this Japanese cooking series, I will be attempting to cook Japanese local dishes as well as Western dishes (British dishes mostly since I am half British, and maybe the odd hamburger for Sam, being an American and all). I call this dish Natalie’s Peanut Butter and Granola Pancakes. They are delicious and nutritious, and will fill you up until lunch. 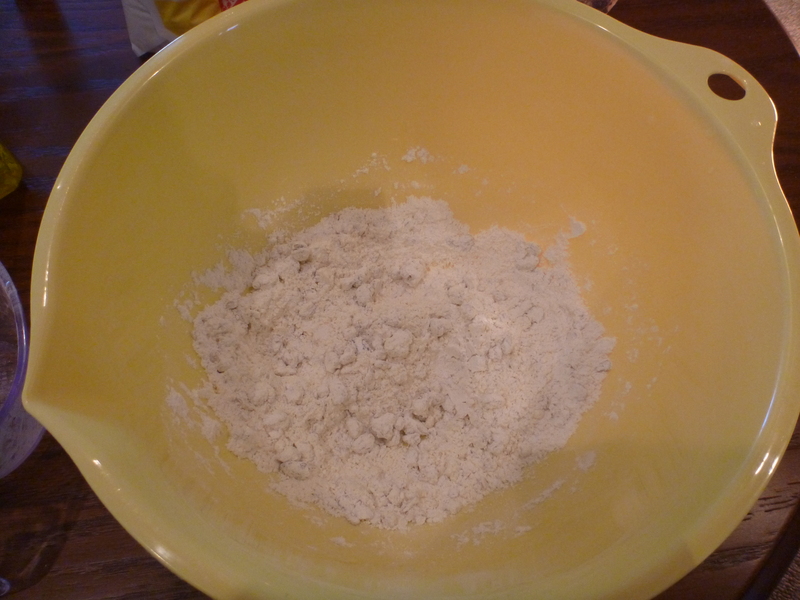 Mix all the dry ingredients together in a mixing bowl. 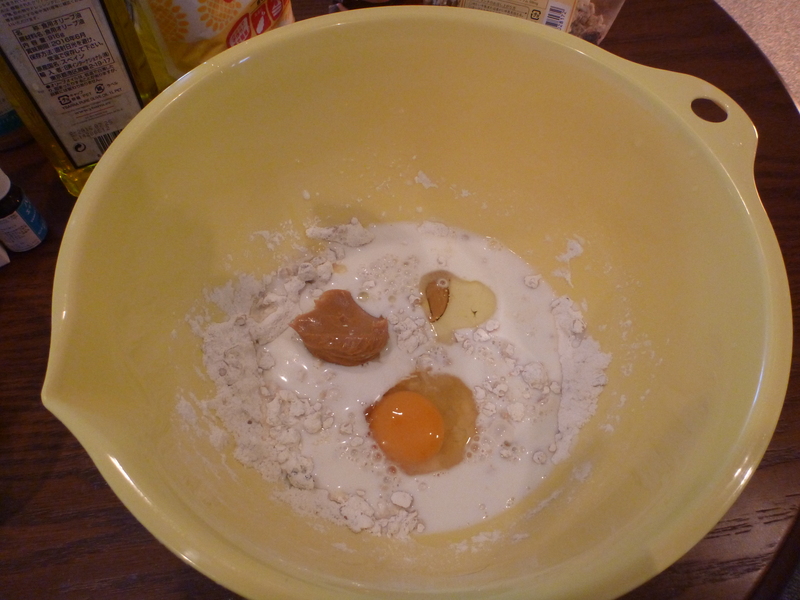 That includes; flour, granola, brown sugar, baking powder. 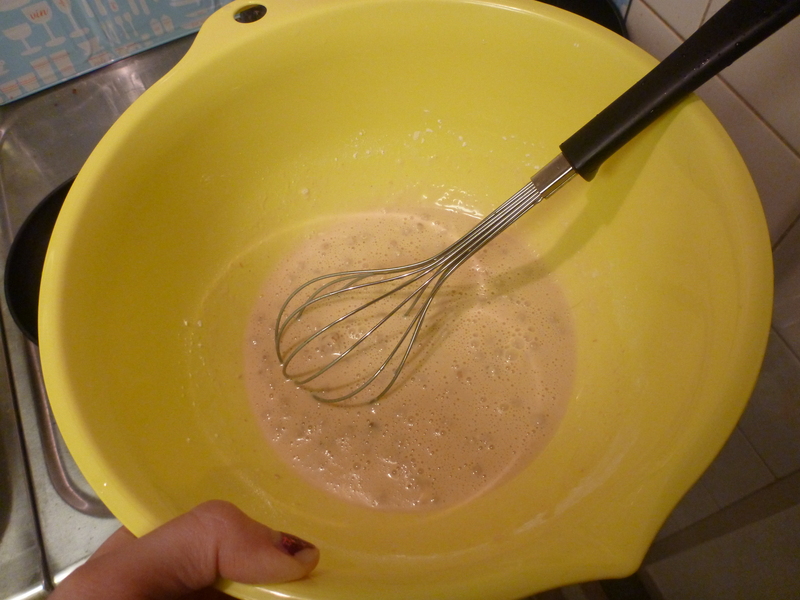 Next, add all the rest of the ingredients into the same mixing bowl and mix together with a hand whisk until it’s a lumpy gloopy mixture. Now! for the real art of pancake frying. Heat a frying pan until the pan is hot, then add a knob (teaspoon sized lump) of butter into the pan until it melts. 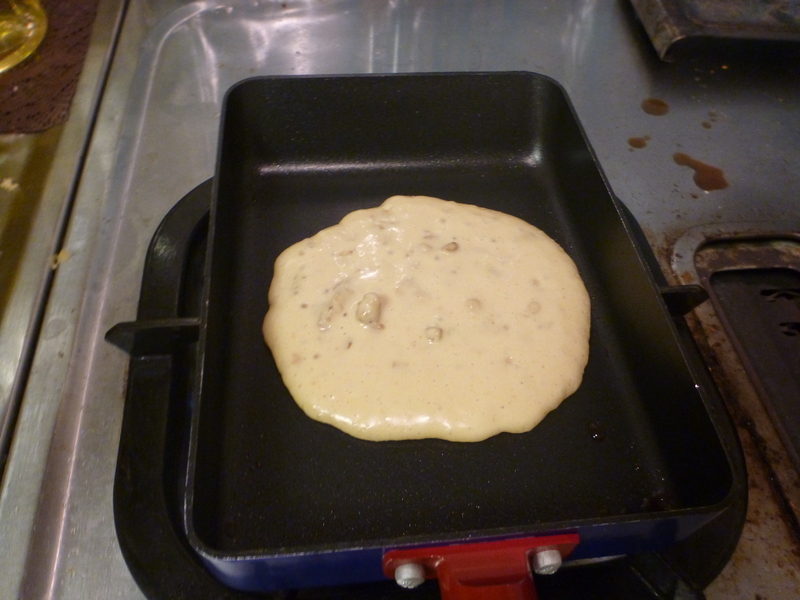 Turn down the heat to low and pour a small amount of pancake mixture into the frying pan. If you want the pancake to be bigger than pour a bit more. There is a fine line between perfectly gold brown and substantially chalky black burned, and it’s all due to timing. You want to flip the pancakes right before you see bubbles on the top. So, the opportune moment is when the cooked side is cooked enough to flip over without breaking apart. You can test this by lifting up a little bit of the side of the pancake with a spatula, seeing whether it sticks to the spatula or not. 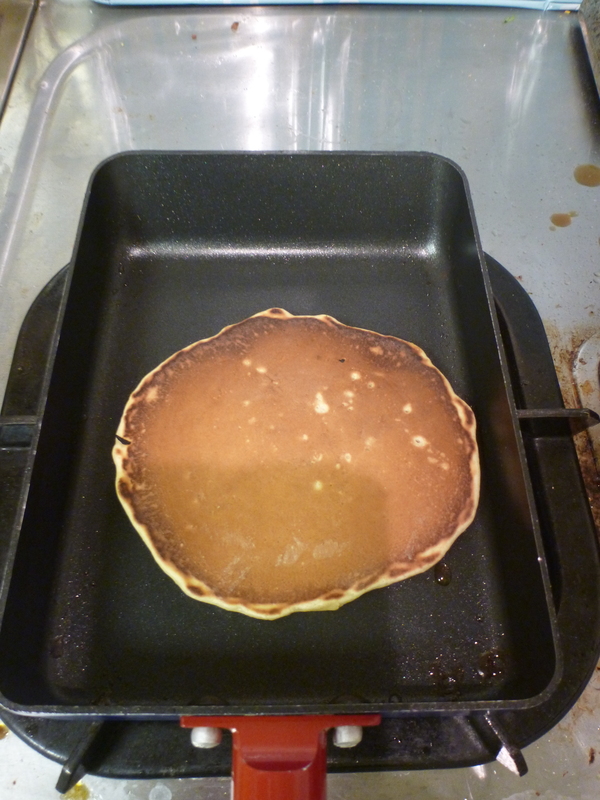 The pancake side literally cooks for about 5-8 secs so you have to keep your eyes on the pan at all times. Then flip over, wait five seconds, flip onto a plate and then repeat. 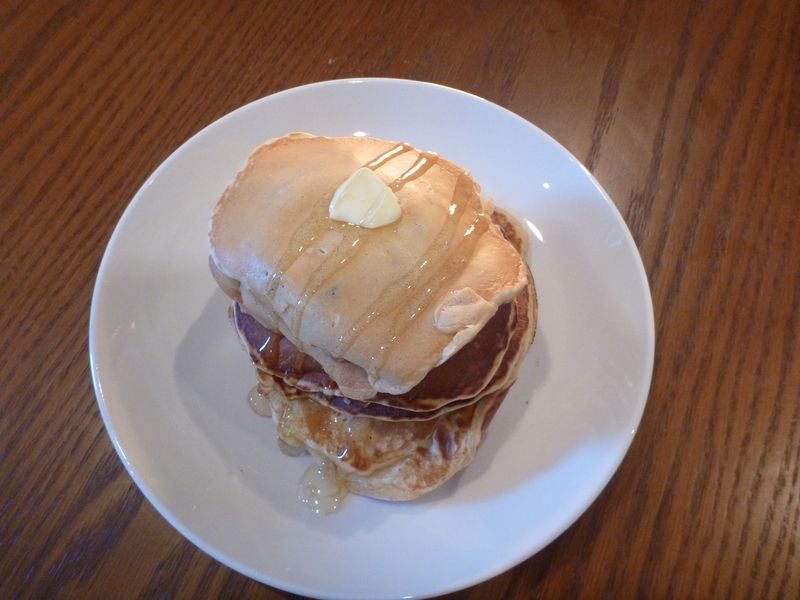 You can add whatever toppings you want like, cream, butter, fruits, syrup, honey or all of the above! This recipe is SUPER EASY. Happy Cooking!